What we eat impacts the well being of ourselves, animals and the planet. Share the facts in your community by displaying this informative poster. World Vegetarian Day, October 1, is the annual kick-off of Vegetarian Awareness Month. 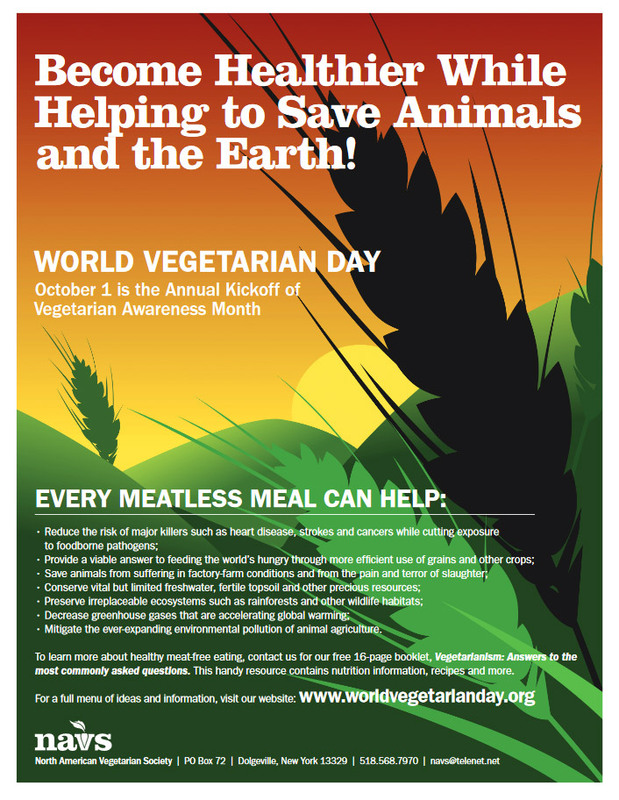 Make a difference this October by informing others about the benefits of vegetarianism. You will be helping to create a better world because vegetarian diets have proven health benefits, save animals’ lives and help to preserve the Earth.